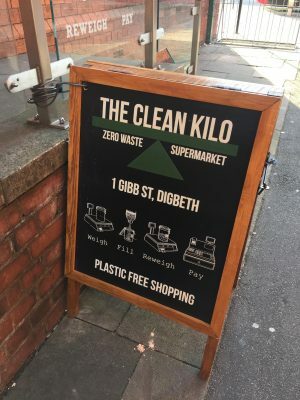 The Clean Kilo, the UK’s largest zero waste supermarket, opened in Birmingham earlier last year. It’s in Digbeth; right near the Custard Factory for those of you who know Brum. Amazingly it took us until December to get ourselves there. As much as we’re trying to be as eco-conscious as possible, I won’t deny the convenience of having my shopping delivered. I’m not going to be one of those bloggers pretending that they do something they don’t. I 100% agree with the idea of being as zero waste as possible, but once I’ve factored in my children, what it is we need to buy and the time I have available for that, you can guarantee I’m tapping that Ocado app. Of course, I always try to make the best choices when I’m shopping anyway. Anyway, we finally got ourselves over to Digbeth to investigate The Clean Kilo. I have to say, I was impressed with the amount of things they have in such a small space. I think that their online photos give the impression that it’s a much larger space than it is. 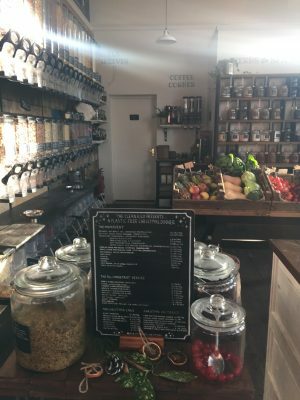 What Is A Zero Waste Supermarket? The premise of zero waste shopping is that you bring along your own empty containers, weigh them, fill them, re-weigh them and then pay. If, like me, you forget to take your containers with you, no need to worry! 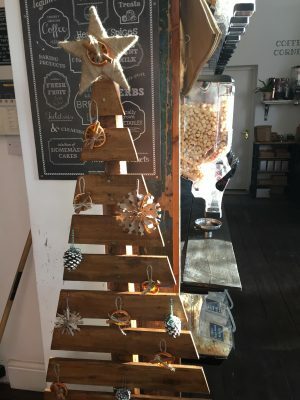 You have the option of using brown paper bags (for free), re-using a container that’s been left behind or you can buy a variety of sizes of glass jars and bottles. I was really impressed by the selection and quantity available. There were cleaning products, beauty products, dried nuts and fruit, pasta, flour, loose tea, coffee, herbs and spices, milk, juice and fresh fruit and veg and more. Pretty amazing really! As it was just before Christmas that we went, I bought a few things from my Christmas food shopping list. What zero waste shopping has over going to a supermarket is that you can buy the exact quantity of something that you need. Perfect for when you’re trying out a recipe and only need a bit of an ingredient you’ll probably never use again. 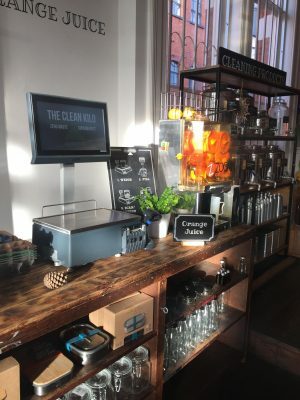 Are We Zero Waste Shopping Converts? In all honesty, we won’t be the most regular shoppers at The Clean Kilo. Mainly because it’s half an hour away and we also need to think about parking. It would have been perfect back when my Mom worked in the next street, but now I don’t really have any reason to go over to Digbeth. However, I absolutely will make a trip over there every now and again to stock up on dry ingredients. As for our regular weekly shop? It’s still Ocado all the way, I’m afraid. Here’s hoping a zero waste shop pops up a little closer to home.